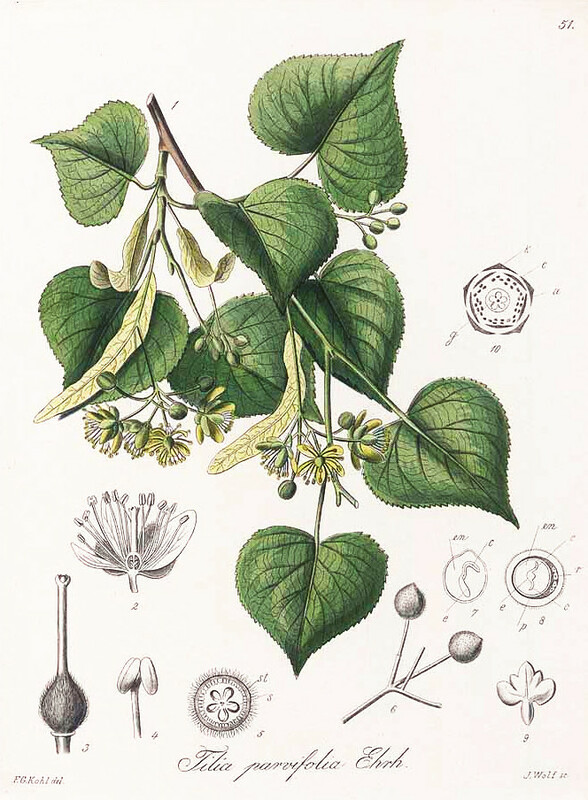 Dried flowers ared used as diaphoretic, as described for Tilia platyphyllos. „Thus the difference in the composition of the aroma compounds between the headspace and the essential oil is clearly shown. This is also the case with dried lime tree flowers (Flores Tiliae). The main constituents of the essential oil of this drug are 1,8-cineole, linalol, carvone, thymol and carvacrol (concentration more than 2 %), but all of these volatiles only be detected in the headspace in a concentration below. 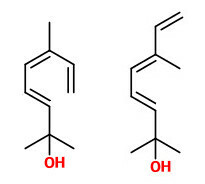 On the other hand p-cymene, fenchone, and α- and β-thujone are only trace compounds of this essential oil. The highly sensitive 2,6-dimethyl-3(E),5(Z),7-octatriene-2-ol and its 5(E) isomer (natural ratio 1:10, sweet floral odor) are major constituents present only in the headspace and not in extracts of the flowers of T.cordata. In comparatively small amounts, unsaturated C9 aldehydes and alcohols (catabolites of linolenic acid) are important scent modifiers in violet flowers, linden blossoms and Acacia farnesiana flowers. 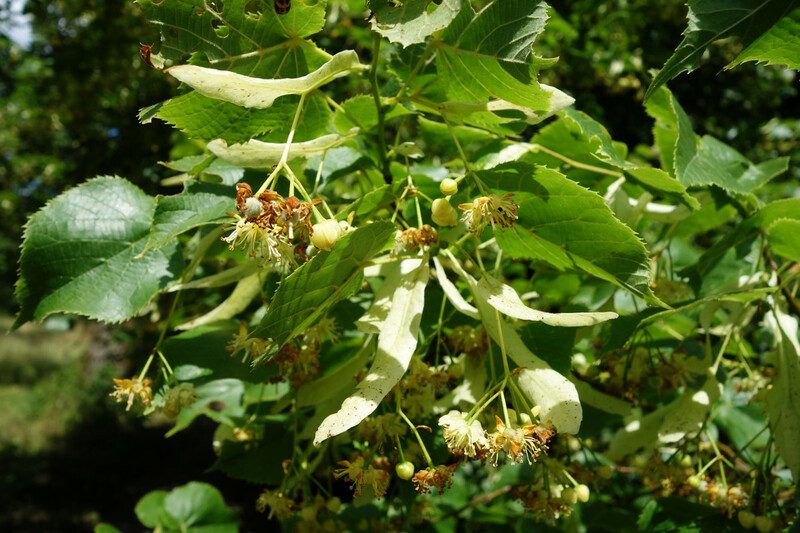 As shown by aroma extract dilution analysis (AEDA), linden honey volatiles having high factors of dilution (FD) were identified as 1-hexen-3-one, 2-acetyl-1-pyrroline, dimethyl trisulphide, methional, phenylacetaldehyde, 2-phenylethanol, linalool, p-cresol, 3,9-epoxy-1-p-menthene, 4-methylacetophenone, 3,9-epoxy-1,4(8)-p-menthadiene (linden ether), 1,3-p-menthadien-7-al, p-anisaldehyde, 4-vinylguaiacol, (E)-β-damascenone, eugenol, vanillin and cis-rose oxide.